Don started taking pictures seriously in the 1970s with his Miranda Sensorex SLR. He used the bathroom of his New York apartment as a darkroom--to the chagrin of his wife, Joyce. His first digital camera was a gift from his Japanese in-laws in he early 1990s. He likes street photography and random grab shots rather than carefully planned photographs. For years Don shot pictures out the bus window on the way into work.Don has previously published 16 volumes of poetry, his first in 1996, not counting the experiments with self publishing under the name "Enthalpy Press." He spent a lot of his young adult life hawking books and learning the meaning of vanity. 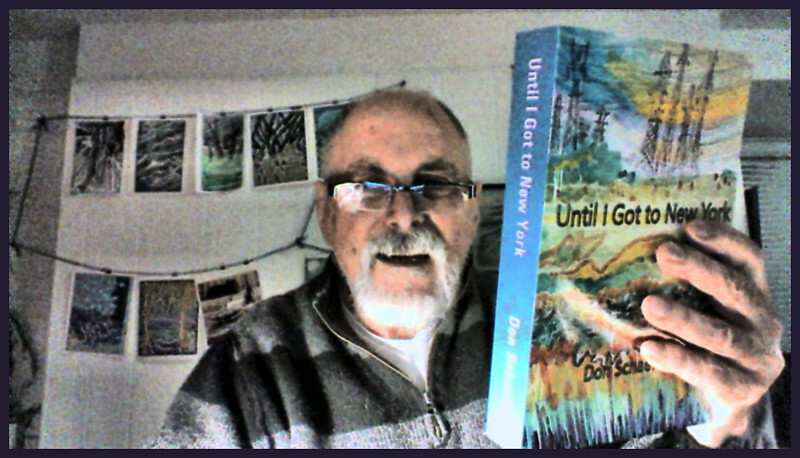 His poetry has appeared in numerous periodicals and has been translated into Chinese for distribution abroad.Don has just published a 478 page book of poetry entitled, "Until I got to New York".